Here at The Woodstripper, we believe no job is too big or too small for our personal attention and expertise. Since the beginning, our primary focus has been heirloom furniture repair and restoration, but that’s not all! 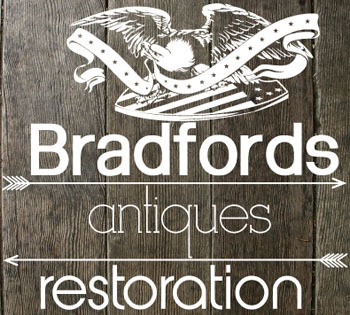 We’ve also made a name for ourselves with large-scale commercial work throughout the Kansas City metro area and surrounding areas, as well as with restoration services for nationally-renowned retailers and vendors such as Hal Hunt and our own Bradford’s Antiques. If you’d like your item custom-finished to match another, we welcome the challenge! We mix most of our own colors on-site, and our master craftsmen excel at the fine art of color matching. Over the years, we’ve seen and worked on it all, from church pews to pianos, antique vending machines to vintage juke boxes. Since 1977, The Woodstripper has offered full-service finishing and repair from the same location in downtown Liberty, and we’re just as proud of our small town roots as we are of the national reputation we’ve built (and sanded and polished). We stand by our commitment to your satisfaction, and we believe the quality of our work speaks for itself—please peruse our galleries of commercial, retail and residential work, and stop by the shop or email us for your free service quote today!